“Build your own security system with motion detection. 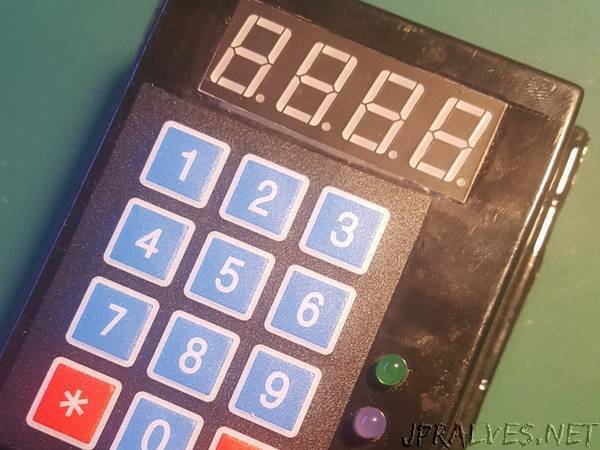 In this project learn how to make security alarm system that is designed to sense if there is movement using a PIR sensor and is able to be armed anddisarmed using the keypad. The circuit is controlled by a Atmel microcontrollerthat is coded in using the Arduino IDE. All of the external devices use male and female headers so it is easy to connect the devices to the PCB without having to solder them permanently to the PCB. The alarm will sound if motion is detected and someone hasn’t entered the correct password in the set time frame.The 7 segment is used to display if the system is armed or disarmed and will display the 4 digit pin used to disarm the device. unfortunately I have lost the code for this project so you will have to code it your self sorry for any inconvenience caused. if you need any information to help you with the code please do ask. I designed the circuit in easyeda the project mainly consists of external components so I recommend using header pins to connect them but you could just solder the components straight to the board.